Submitted by Brett Baker on May 13, 2013. 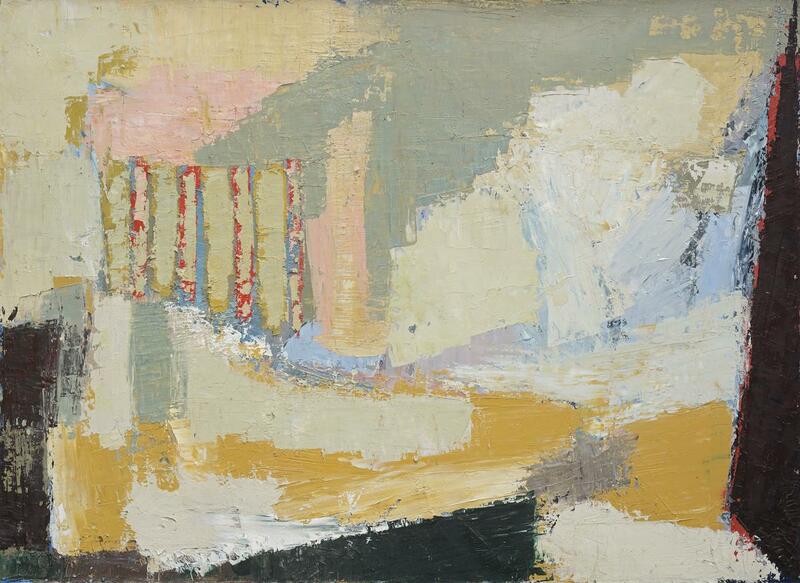 Nicolas de Staël at Mitchell-Innes & Nash, 1018 Madison Avenue, New York, on view from May 2 - 31, 2013. 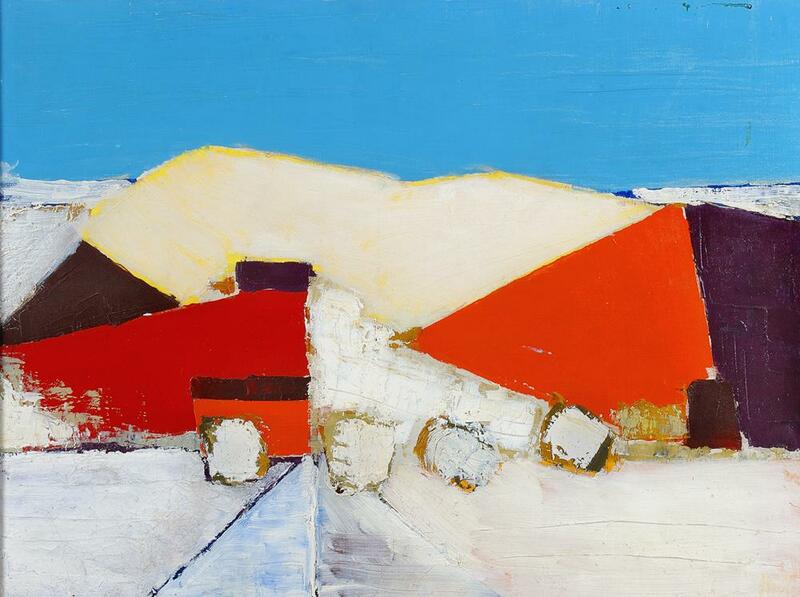 In the United States, an eerie silence surrounds the work of Russian painter Nicolas de Staël. His name is rarely, if ever, recommended to or cited as an influence on an American painter. The first reason for his relative absence from the American consciousness is simply bad timing. As Eliza Rathbone explained in 1997: "The very fact that [de Staël] began to achieve fame and recognition during the same years as the New York School was establishing its reputation on native soil, made a challenging environment for the work of an artist steeped in artistic culture and traditions of France." 1 The romantic image of the New York School remains powerful today. Struggling inwardly in a studio on 10th Street continues to capture the imagination of young American painters more than painting light and heat on a beach in Antibes. Perhaps the main reason de Staël’s reputation has languished in recent decades, though, is the inaccessibility of his work. The Phillips Collection in Washington D.C. has been the only reliable venue to see de Staël’s paintings in the last half century. After regular showings in the 1950s, only four other shows of de Staël’s paintings - in 1963, 1965, 1990, and 1997 - precede the small, but well-selected show of his works now on view at Mitchell-Innes & Nash’s Madison Avenue space. 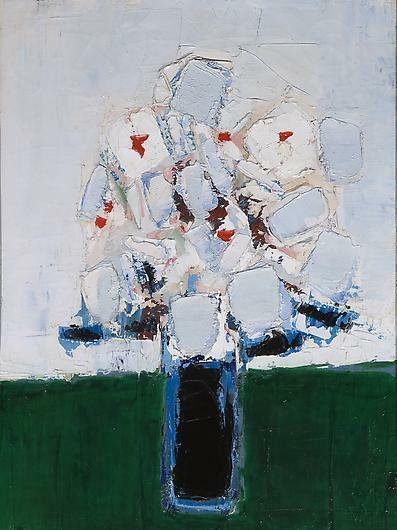 One moment de Staël seems an abstract painter uniquely attuned to the physical world and another he seems an observational painter with an uncanny command of the abstract elements of painting. Which of these he appears to be may change according to viewing distance from a specific painting and the duration spent looking. 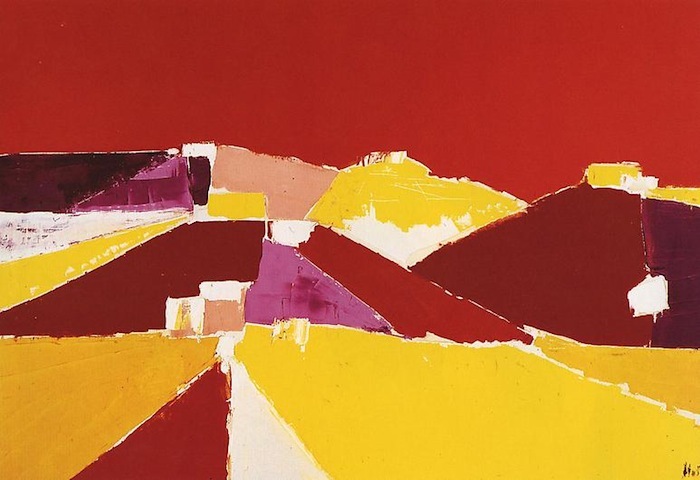 Agrigente (1953), the most striking and active painting in the current show, initially appears to be an abstract painting loosely influenced by landscape. This painting changes, however, before your eyes into a carefully observed, specific view. The unreproducible orange of the sky doesn’t hold a spatial plane the way it would in an abstract painting - as a wedge of space - rather it conveys the infinite, and does so as convincingly as any blue ever has. The same orange, cut with nearly imperceptible additions of red, holds both discrete middle and foreground spaces in the picture. 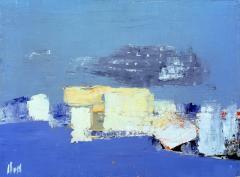 In this painting, de Staël’s color is not color, it is light and heat as they travel across space. The effect can only be experienced in person. Just as De Staël’s color is not about color, his visceral surfaces aren’t about paint. The surprising variety of paint application - thick and thin, brushed and trowelled on, horizontal and vertical marks - always describes natural forces and movement. In Paysage Méditerranée (1954) his brush and knife conjure a brisk gale. In the adjacent Fleurs dans un vase bleu (1953), thick slabs of paint create the sensation of spinning. The optical effect is like a time lapse video of flowers blooming. The effect intensifies as you approach the painting. The mutability of De Staël’s paintings is impossible to describe, it must be seen. If you visit the exhibition, have a seat on the bench in the main gallery. Start with Paysage, La Ciotat (1952) and turn slowly clockwise, spending time with each painting until you reach Collines à Agregente (1954). The paintings will appear differently on each turn. At the moment of De Staël’s rise to fame, The New York School overpowered the art world. Many of its most prominent painters redefined painting as an introspective art form. Radical though this shift was, it also paved the way for painting to privilege the verbal over the visual. Fifty years later, contemporary paintings often spring from predetermined words and ideas; they do exactly what the artist claims they do, nothing more. 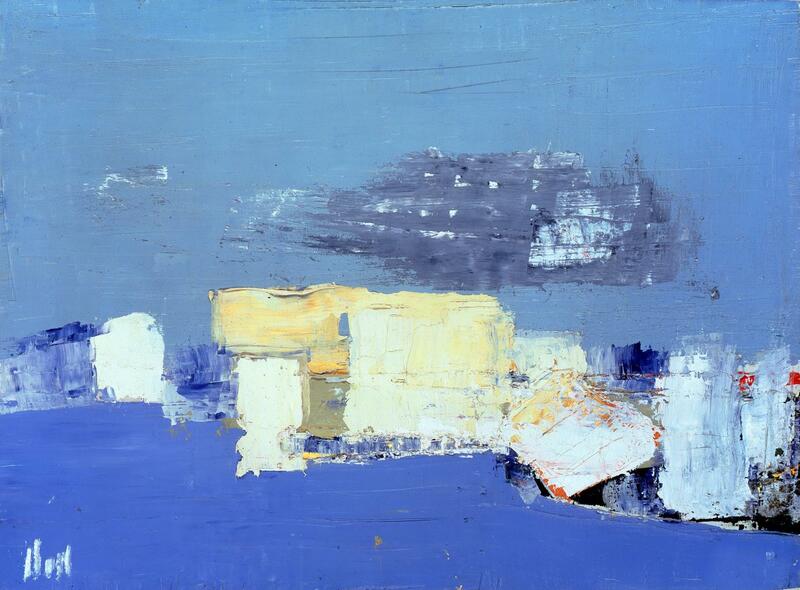 When we lose a painter like De Staël, we lose a valuable example of the intensely visual. Paintings like his defy the verbal. They need to be seen - especially in America. 1 Eliza Rathbone, Introduction, Nicolas De Staël: Paintings 1950-1955 at Mitchell-Innes & Nash, New York, 1997. 2 Nicolas De Staël, Letter to Douglas Cooper, January 1955 in the exhibition catalogue, Nicolas De Staël, Tate Gallery, 1981, p. 18. 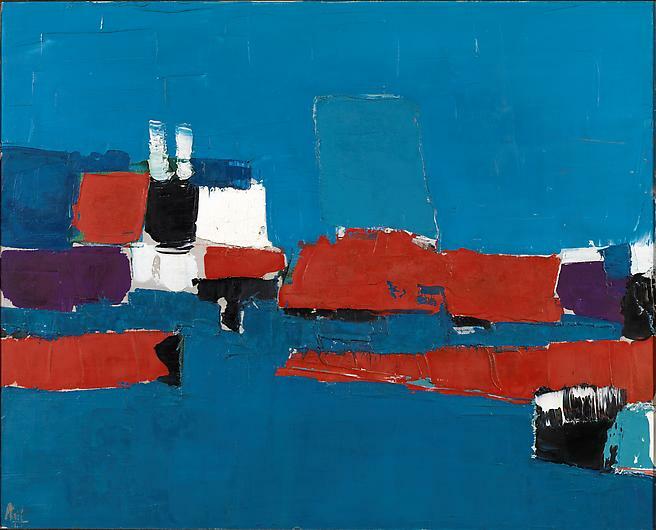 3 Press Release for the exhibition Nicolas De Staël at Mitchell-Innes & Nash, New York, 2013.